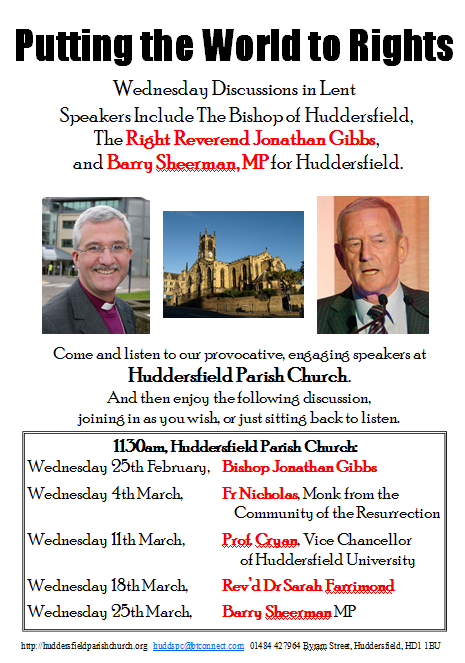 As part of his new duties as the first ever Bishop of Huddersfield, The Right Reverend Jonathan Gibbs will be giving the first talk of a series of discussions running at Huddersfield Parish Church. 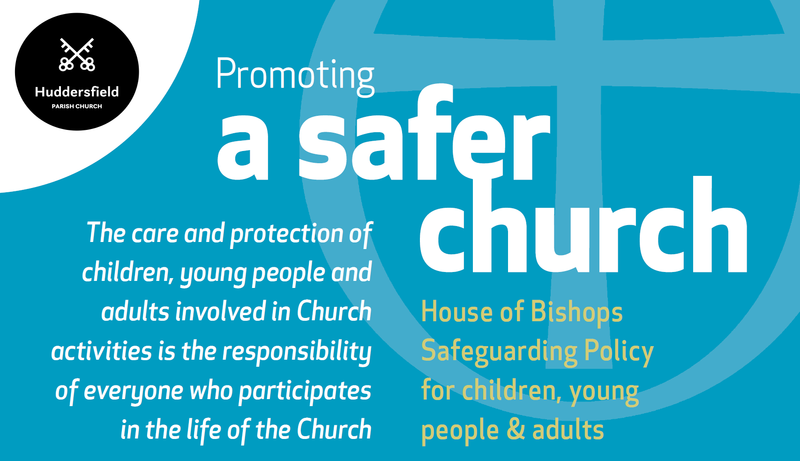 After listening to various engaging and provocative speakers, including The Bishop, Barry Sheerman MP, Professor Cryer, Vice Chancellor of Huddersfield University and a Monk from the Community of the Resurrection, people will have a chance to engage in discussion or ask the speakers questions. Simon Moor, Vicar of Huddersfield, said, “I am so pleased that the Bishop is giving the first address at these sessions which will give the people of Huddersfield a chance to grapple with issues of the day and also matters of the church in contemporary culture.” Both Huddersfield Parish Church and the Bishop of Huddersfield value their unique roles in bringing together the sacred and secular in the town, and hope that the people of Huddersfield will take this opportunity to engage in Putting the World to Rights. Putting the World to Rights runs on Wednesdays during Lent, beginning with Bishop Jonathan on 25th February. They are at 1130am in the Parish Church, Byram Street, and are open to all.